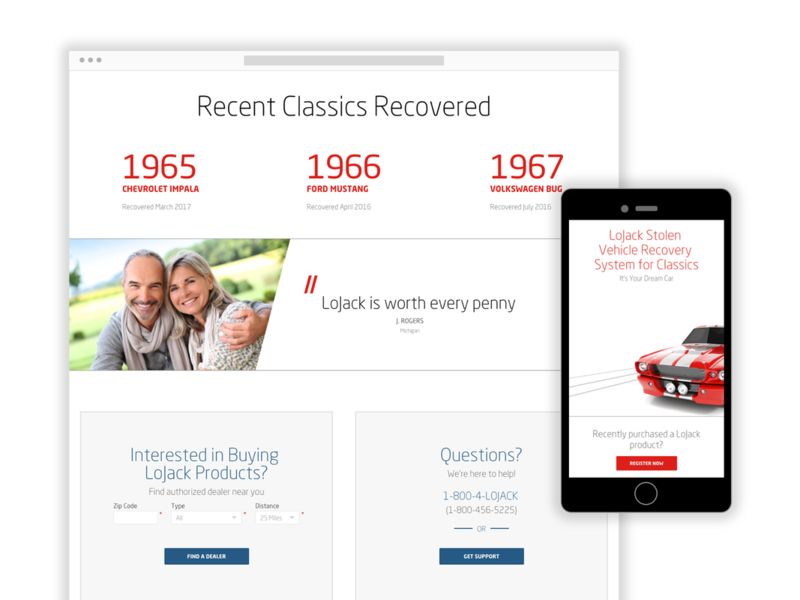 ​OVERVIEW: John Freida came to us in need of overhauling their current website experience. 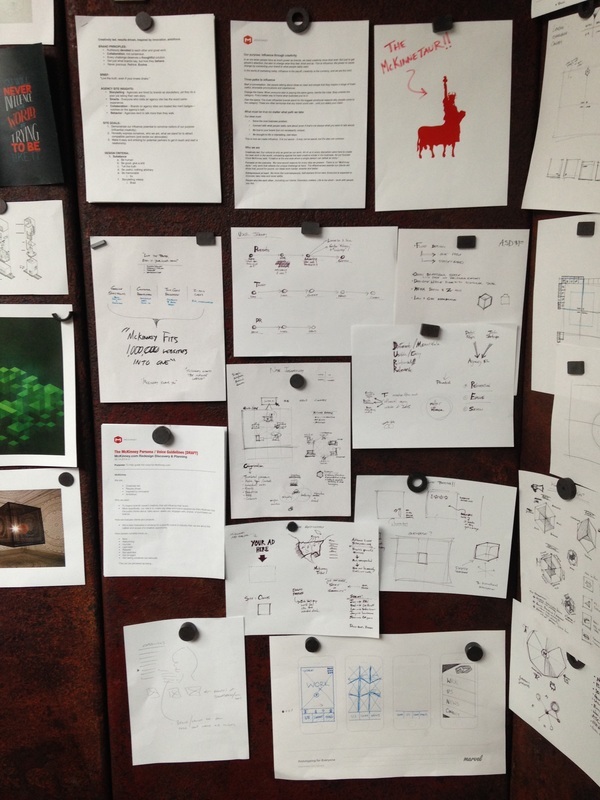 We spent the following several weeks developing a strong strategy to serve as foundation for the fresh creative vision to follow. 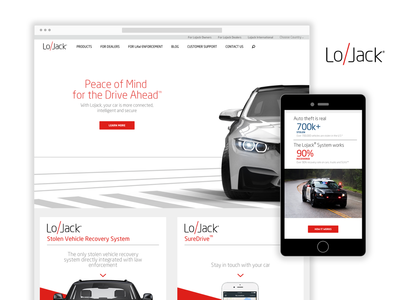 The site needed to be flexible enough to work across various international markets (Germany, France, Korea, etc.) yet consistent and recognizable as the unique John Freida brand. 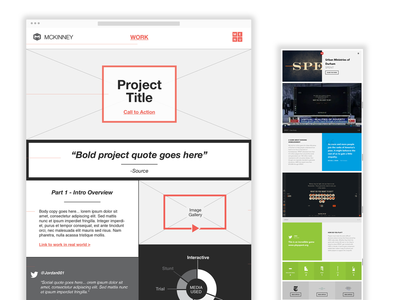 Through iterative rounds of UX and UI Design work, we created a powerful new vision for the website. 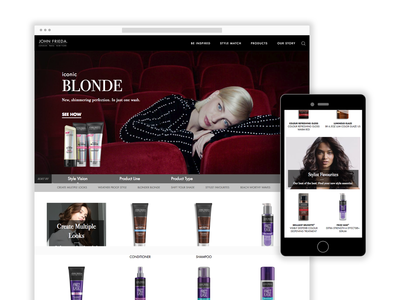 Fully responsive, it was more than just an eCom experience, but also included editorial content for the style-conscious users as well as a hair-customization section that recommended inspiration, how to's, and products that resonate with the user's unique hair profile. The resulting execution was elegant, useful, on-brand, and technically-sound despite various challenges along the way. 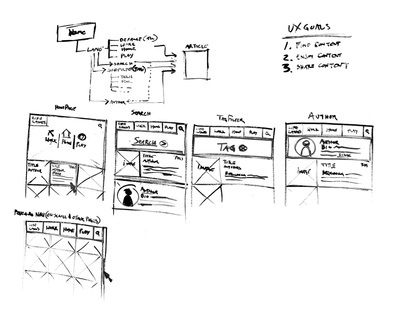 ​ROLE: Served as Creative Director responsible for overseeing, guiding, and selling the UX and UI Design work. 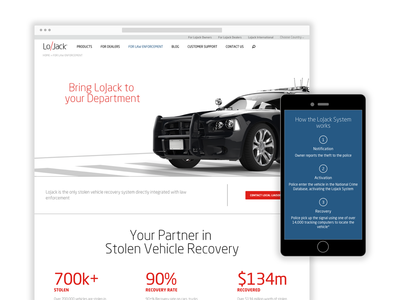 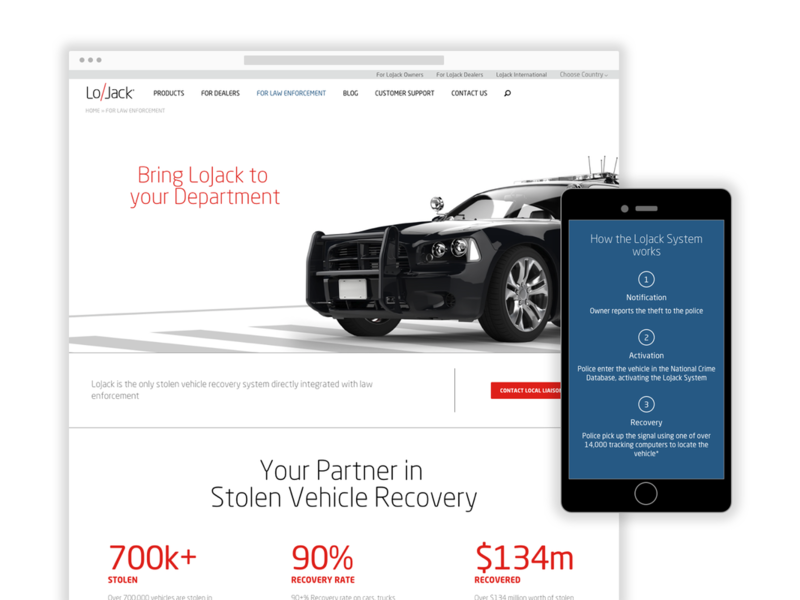 ​OVERVIEW: The globally recognized LoJack brand was in need of a digital makeover and hadn't changed much since the 90's. They had strong recognition overall and their blog content worked well with organic search, however the rest of the website experience needed vast improvement. Our response was to develop a clear and unified expression of the brand, its products, and how they benefit their audiences. 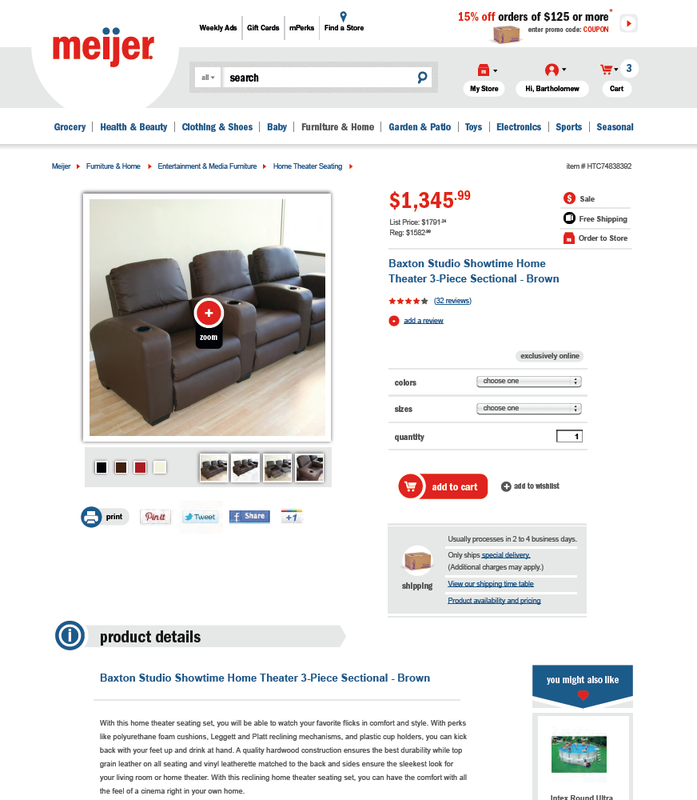 The site had to serve various audiences (customers, dealers, law enforcement. 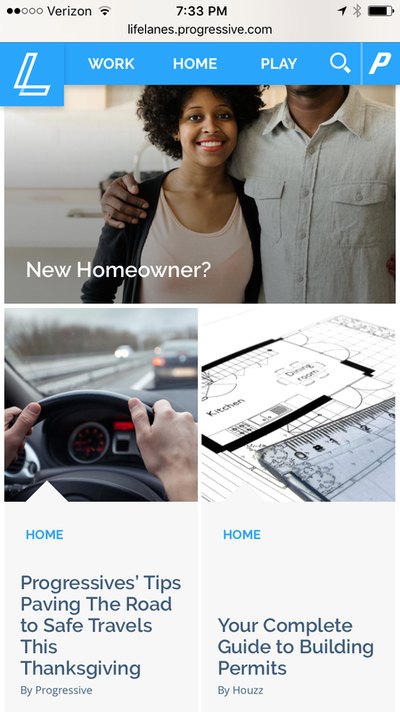 etc) and throughout major markets across the globe. 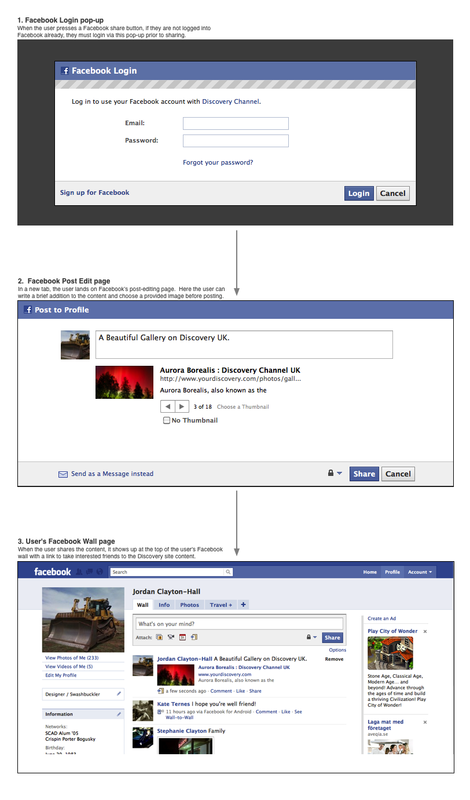 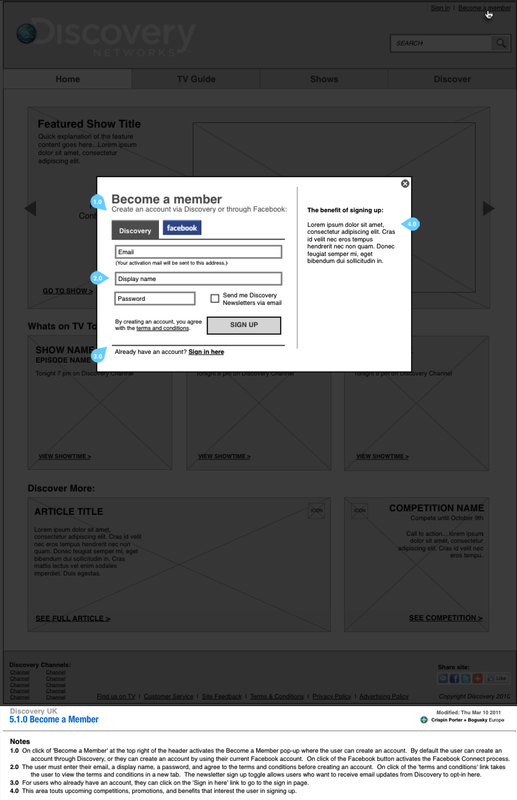 As a result, we created an audience-centric navigation that lets people identify who they are and drill down deeper. 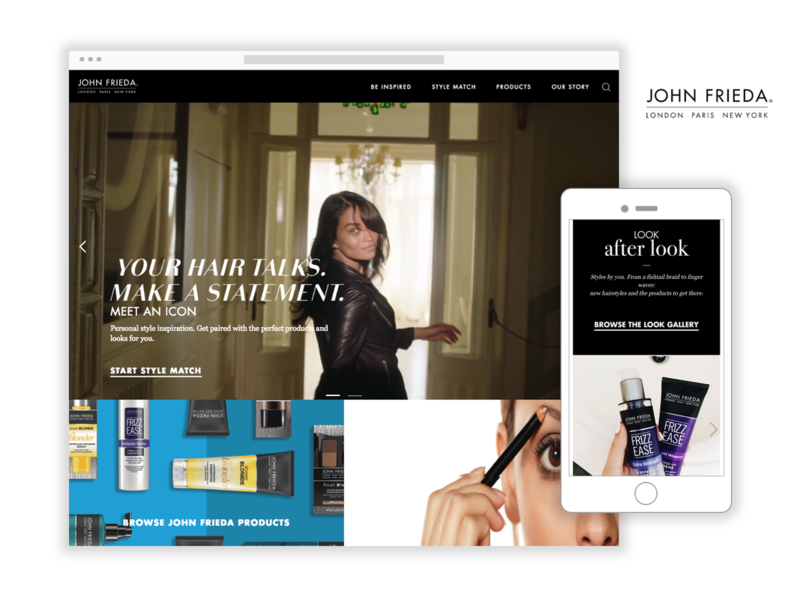 The useful blog and product content was leveraged in more useful ways across the site and the overall experience from page-to-page become more clean, clear, and emotionally compelling. ​ROLE: Lead UX Designer responsible for UX Strategy, user scenarios and flows, site structure, wireframes, and cohesive translation of UX work into the visual designs. 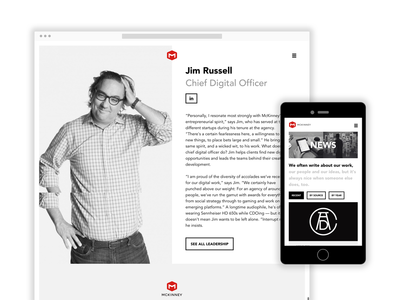 ​OVERVIEW: The previous website for the agency had been around for a 1/2 decade and was in need of rethinking for today's modern web and UX best practices. 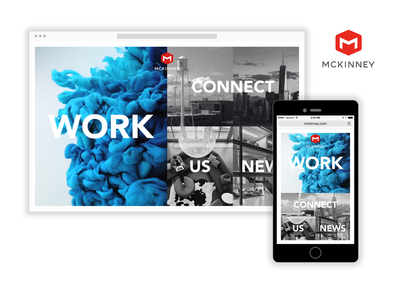 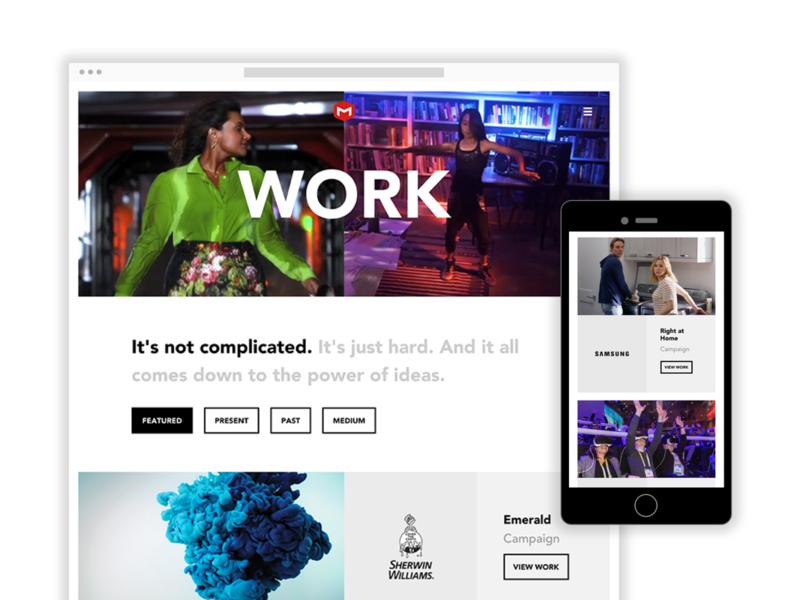 The approach was to rethink the interaction model and site architecture from the ground up and best showcase the agency as a creative-driven, digital-savvy, advertising agency worthy of public attention and client consideration. We used an agile process that kept strategic, creative, and development-minded individuals in close proximity and collaboration to ensure effective and efficient execution. 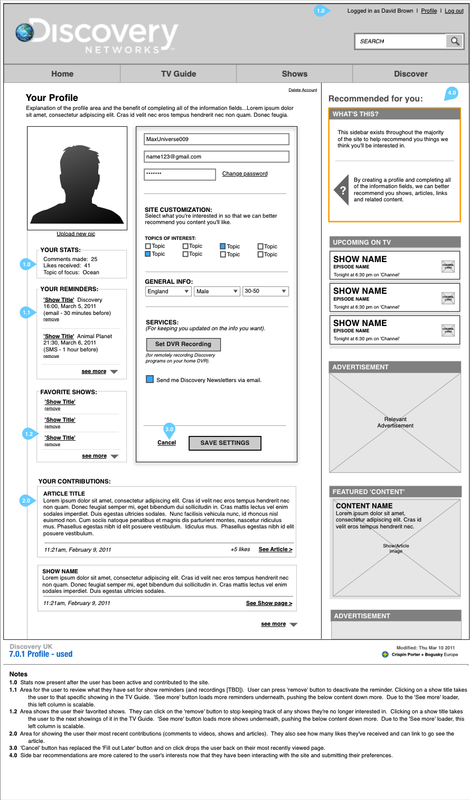 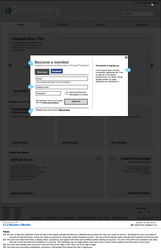 ROLE: Director of User Experience. 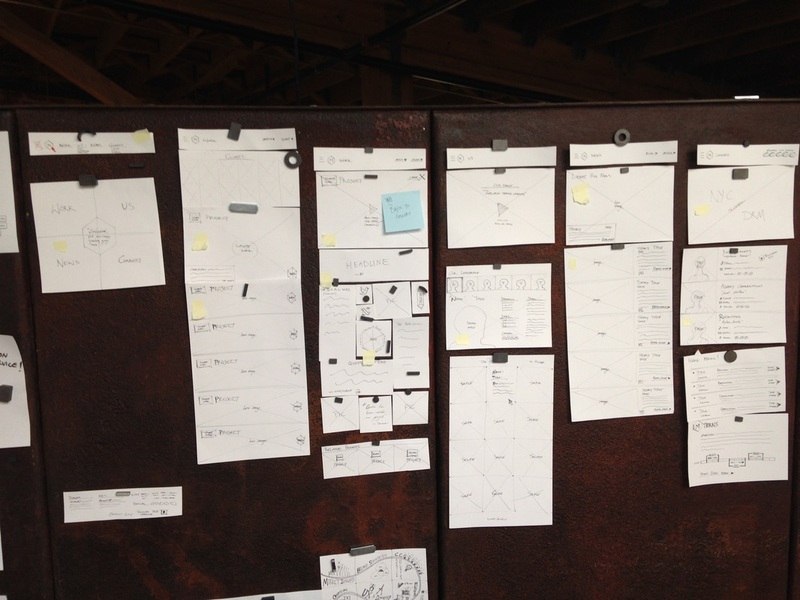 Lead the digital/content strategy, ideation, UX Design, and prototyping for the project. 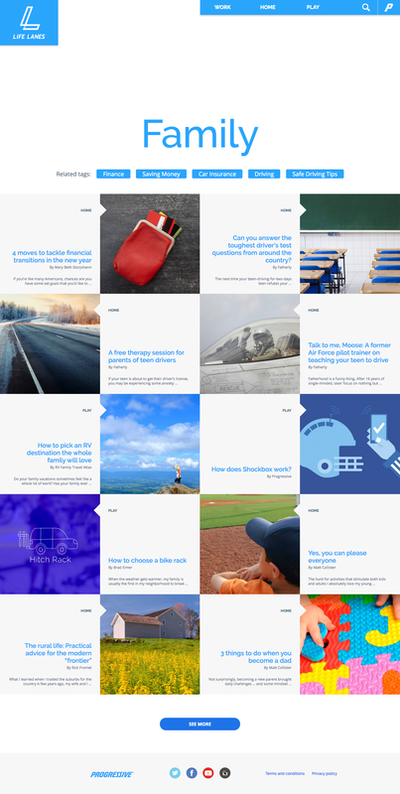 ​OVERVIEW: We partnered with Progressive Insurance to create an editorial platform called "Life Lanes" for them. The purpose of this platform is to better serve prospects and customers in need of useful content for protecting the things they care about— whether it's within the "lane" of their home life, work life, or play life. 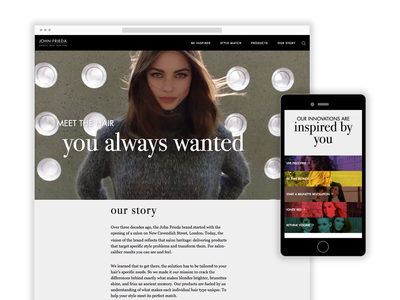 The site prioritizes serving user before selling to them and acts as the heart of their greater content-marketing system. 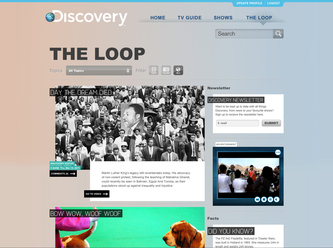 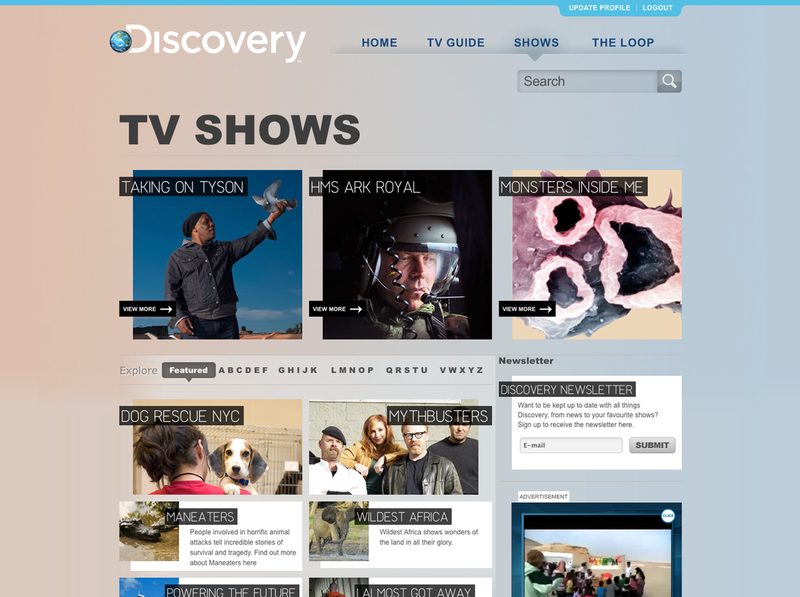 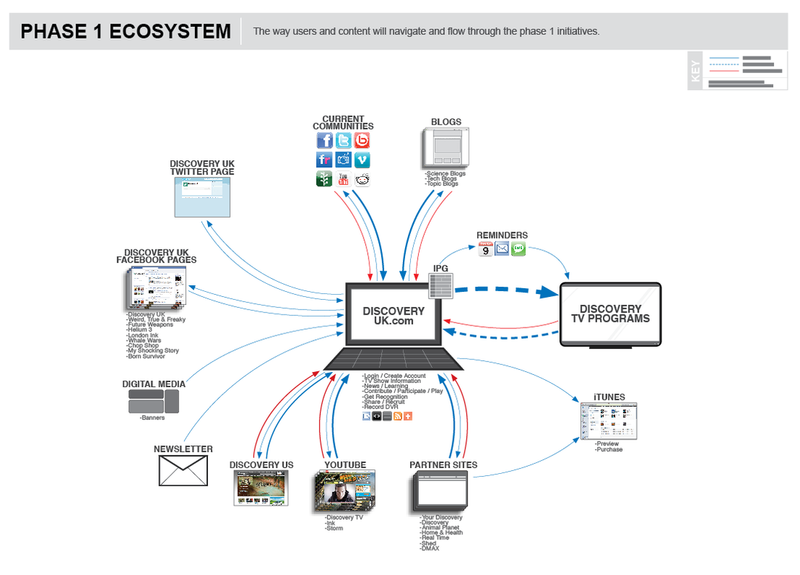 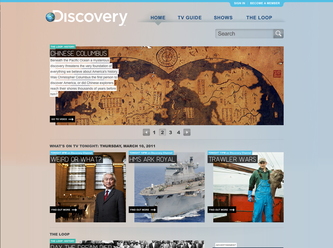 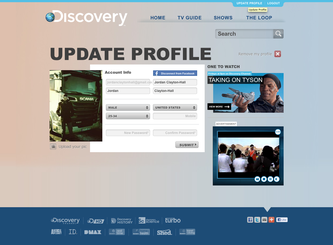 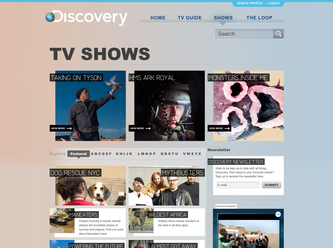 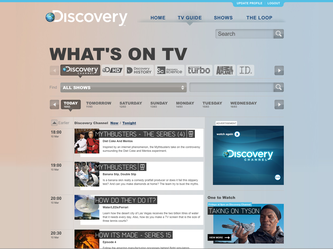 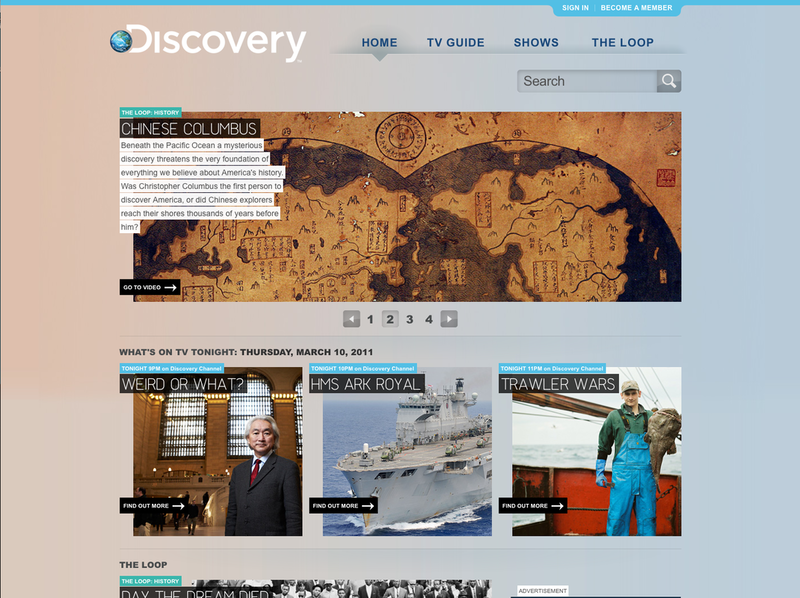 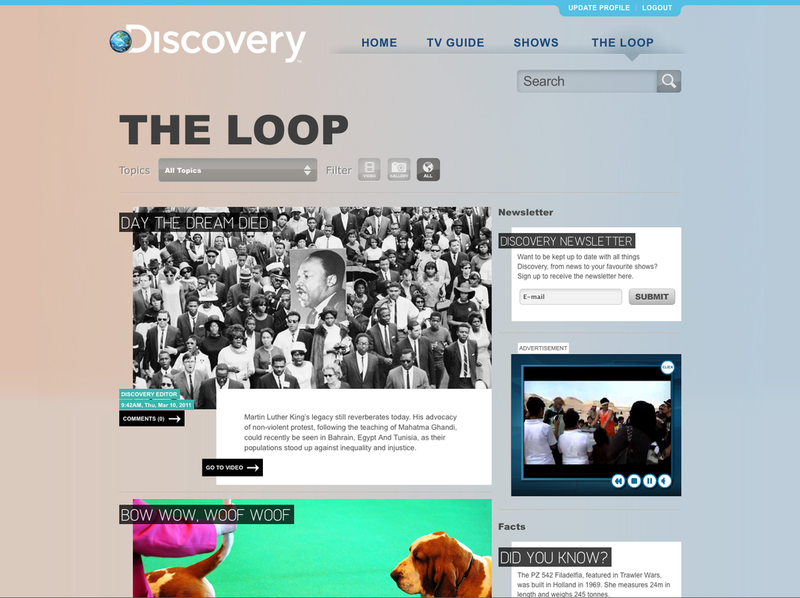 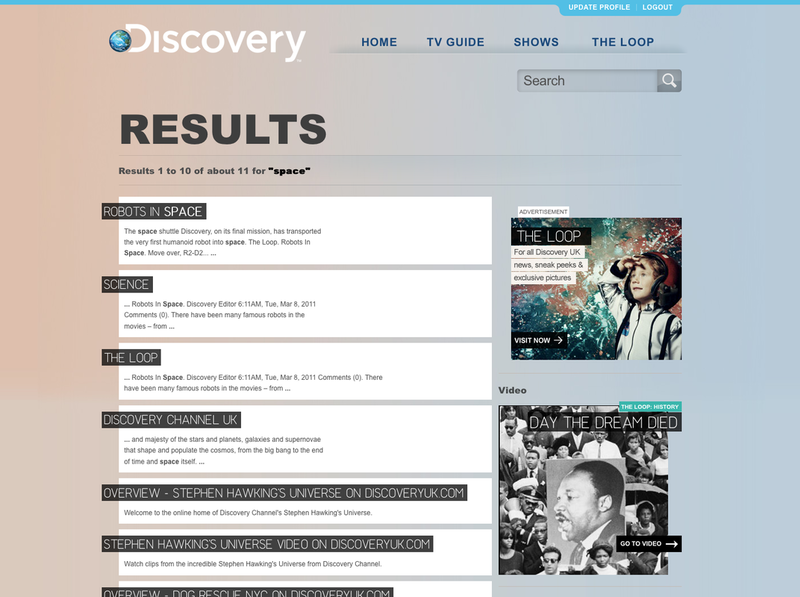 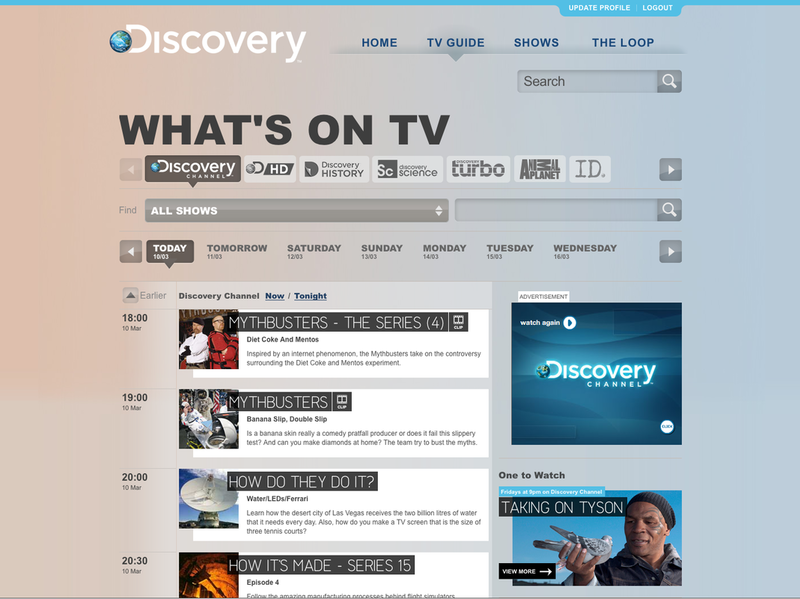 ​OVERVIEW: Discovery Channel had tasked us with reinventing their UK Network site. 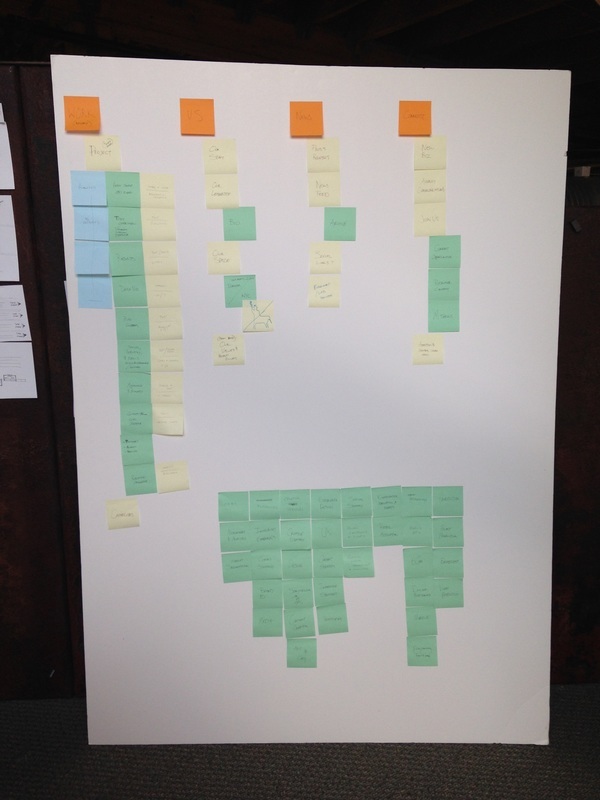 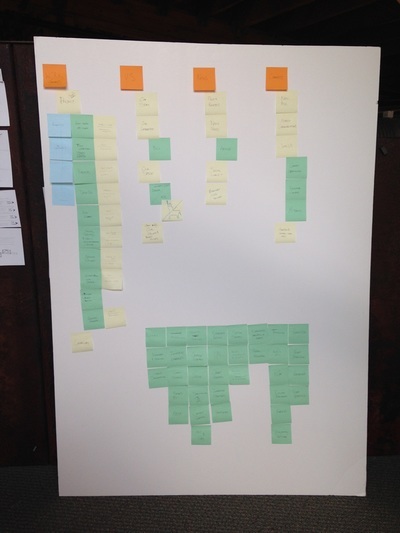 Our first step was to identify and understand their specific business objectives and the digital user’s needs. 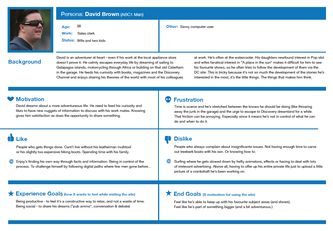 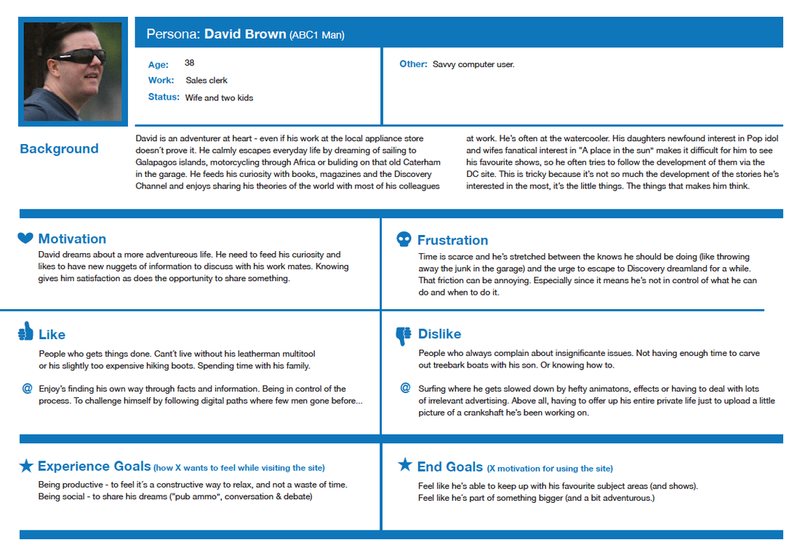 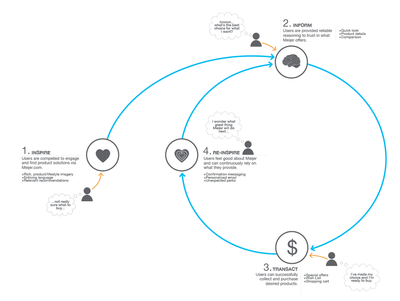 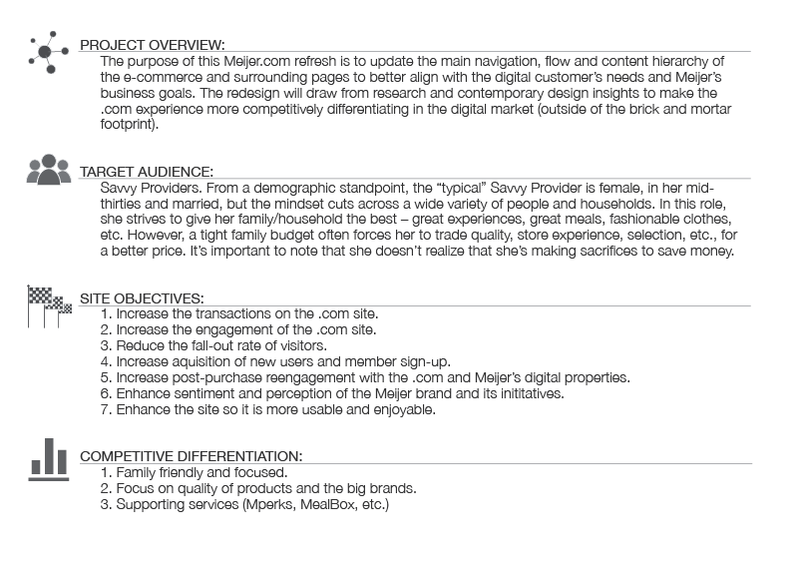 Through working with Discovery and the insights found during market and user research, we outlined the primary business objectives and then developed specific personas that reflected the user’s core needs, behaviors and goals. 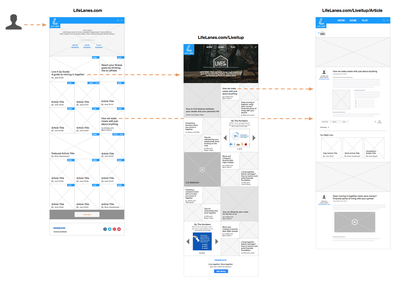 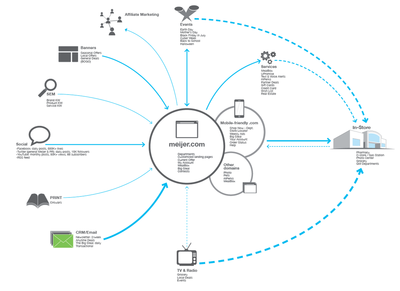 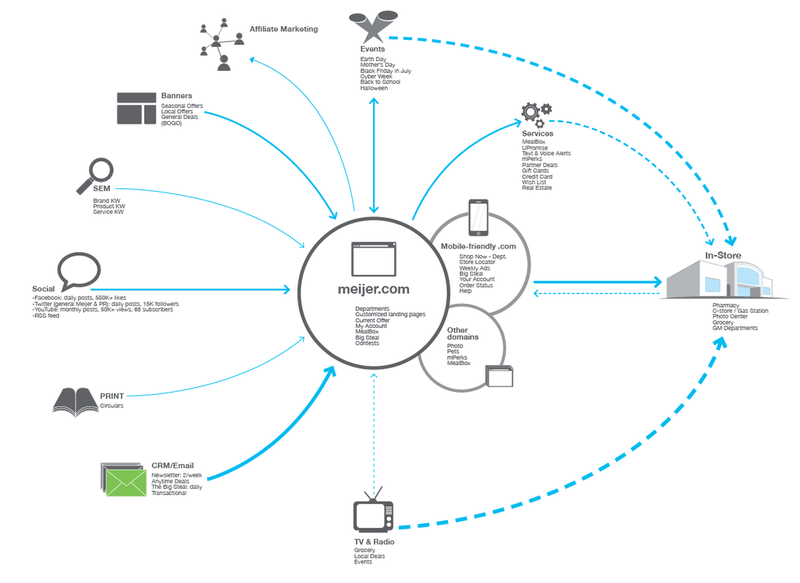 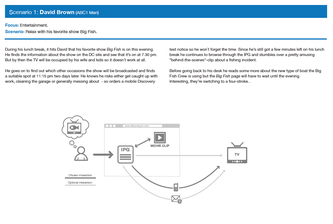 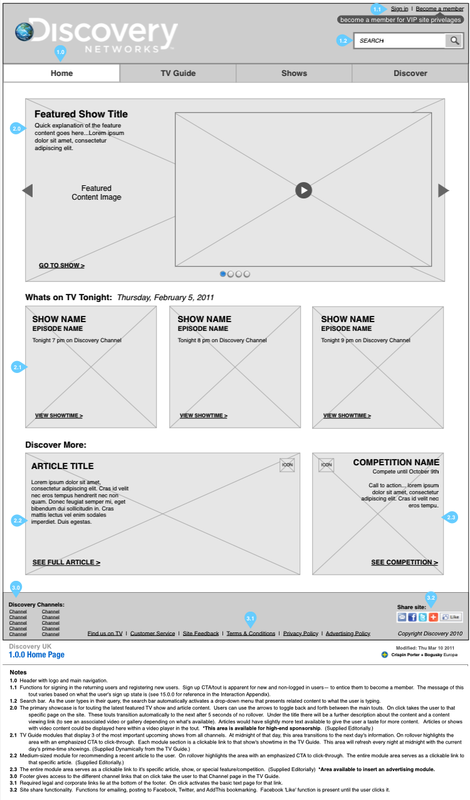 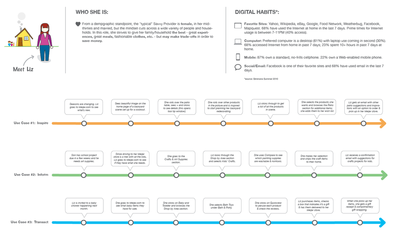 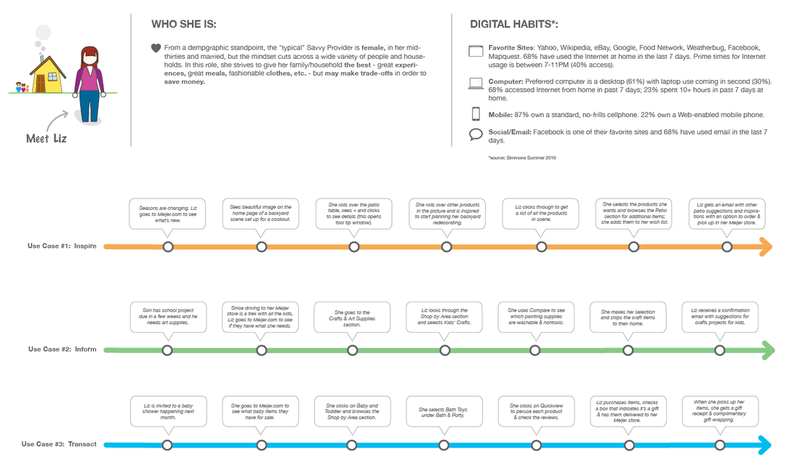 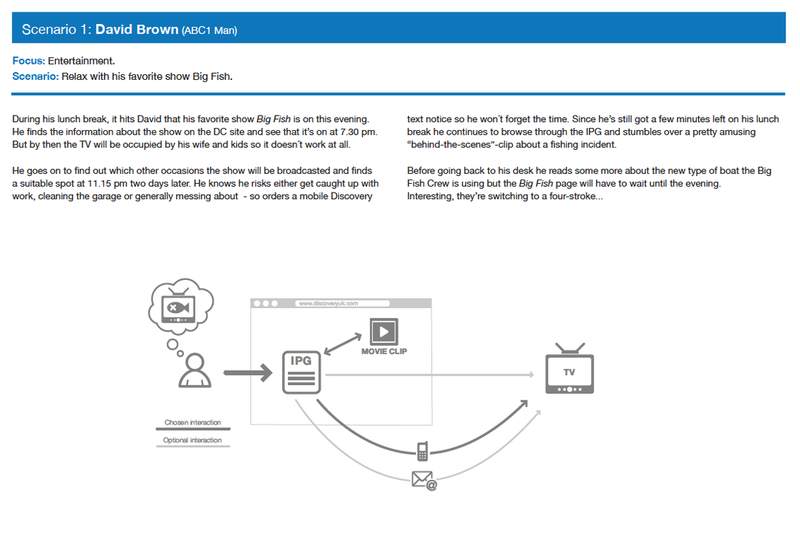 We then built the experience scaffolding and user flows to reflect our strategy— getting users to plan future TV viewing, dive into deeper show content, and explore more editorial content based on their interests. 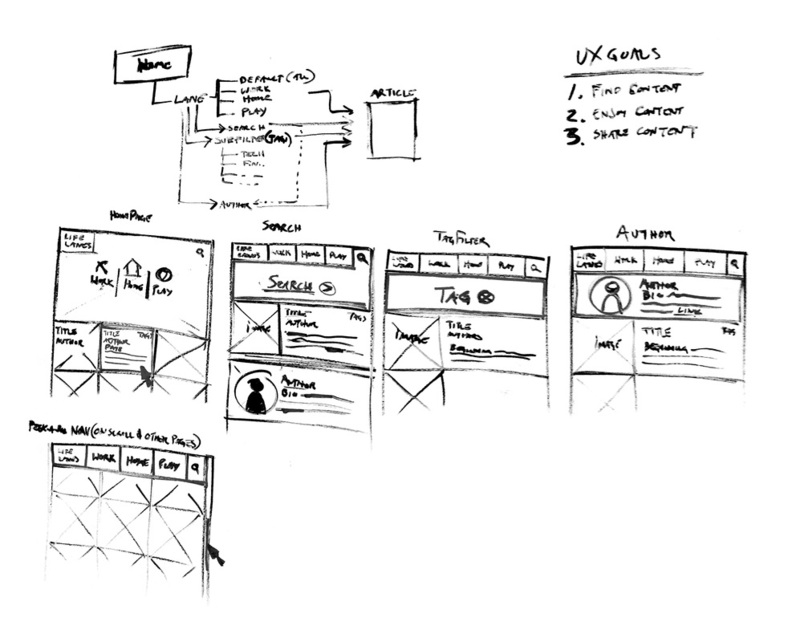 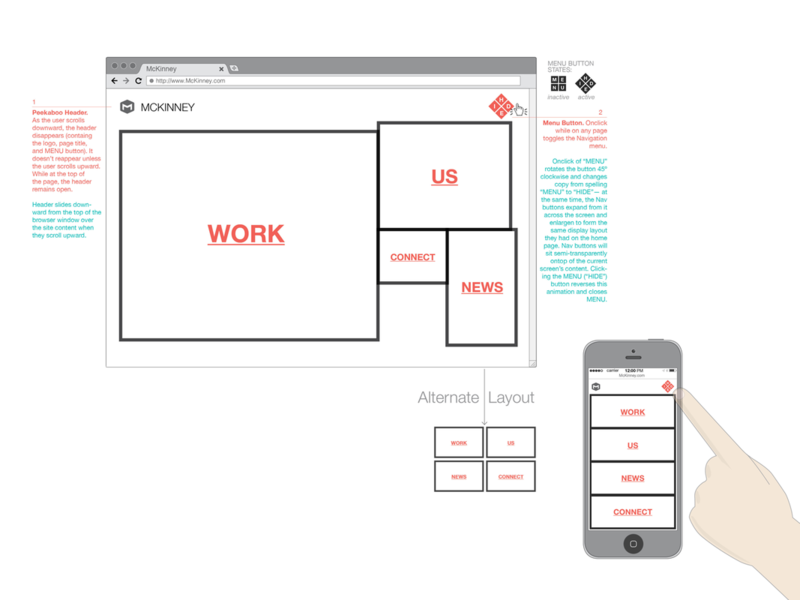 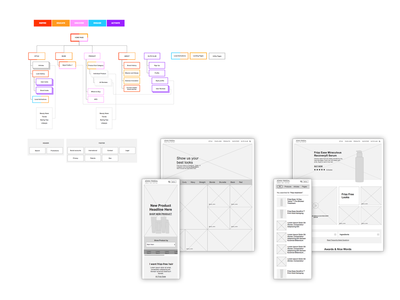 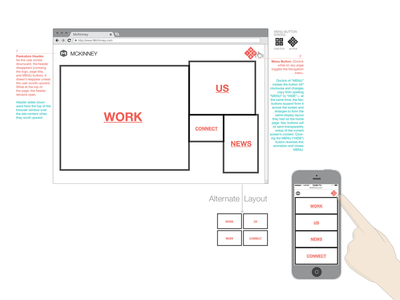 Throughout the design process, we built the site around these three user priorities. 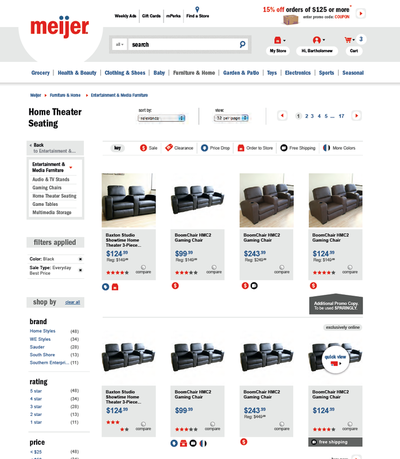 We were responsible for the entire redesign of the experience, functionality, and visual design of the site. 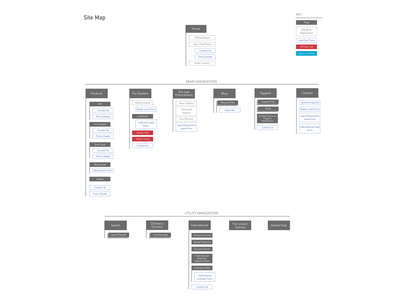 ROLE: Lead UX designer and major project leader. 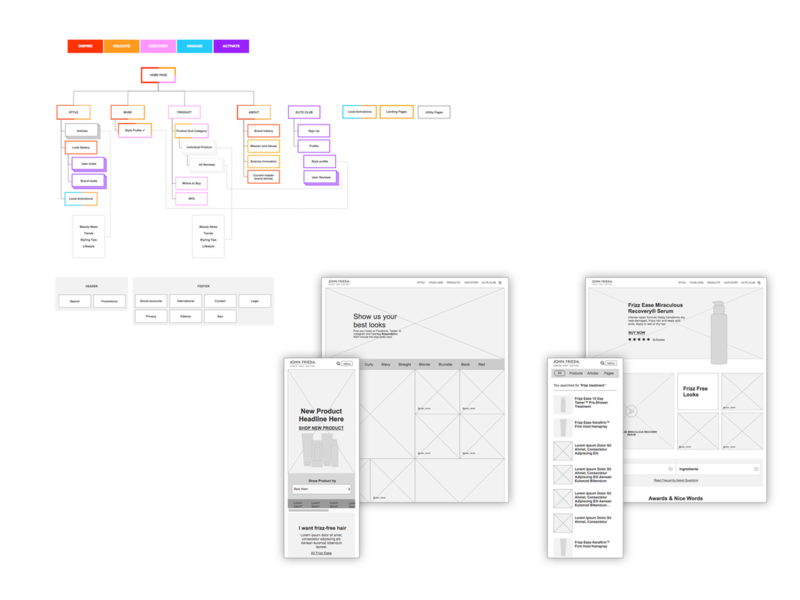 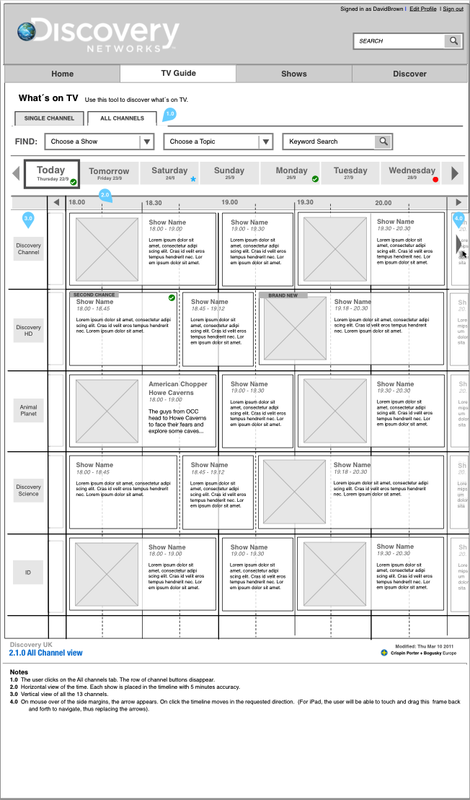 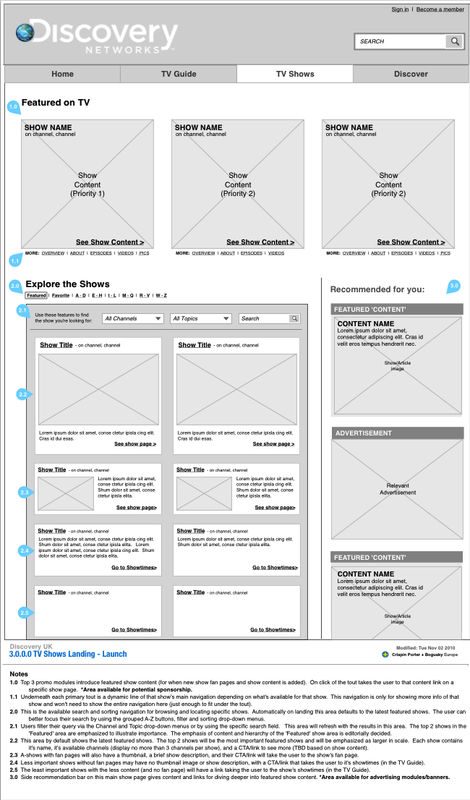 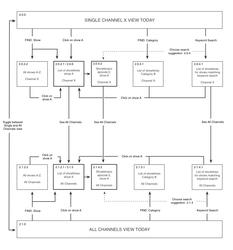 I was key to all major strategic and design decisions and was in charge of presenting all of the UX deliverables to the client. 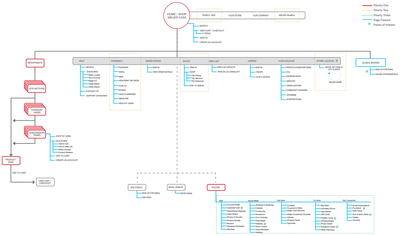 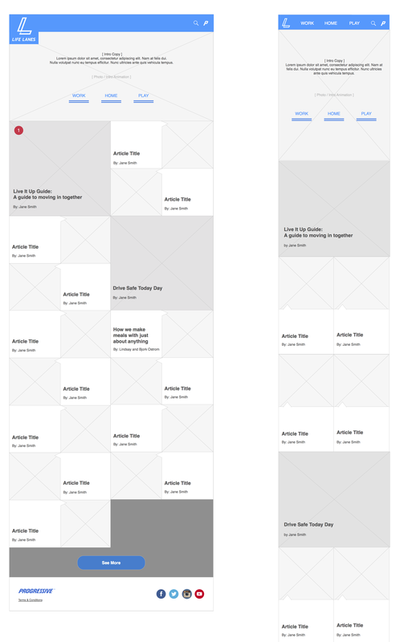 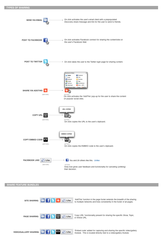 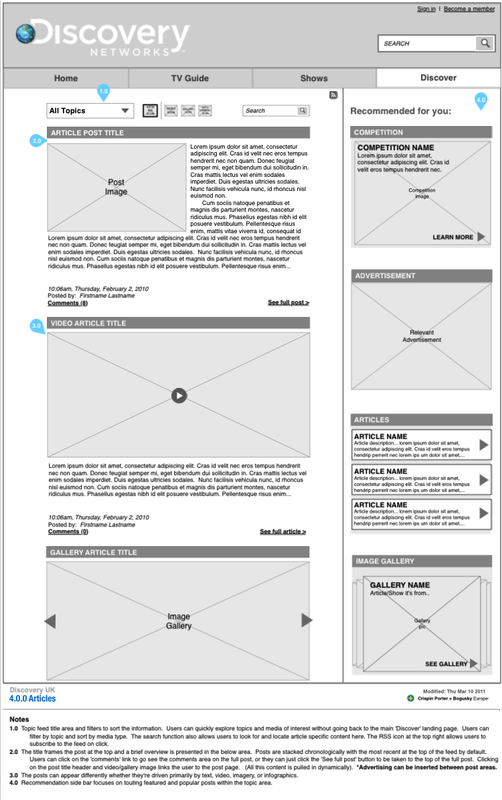 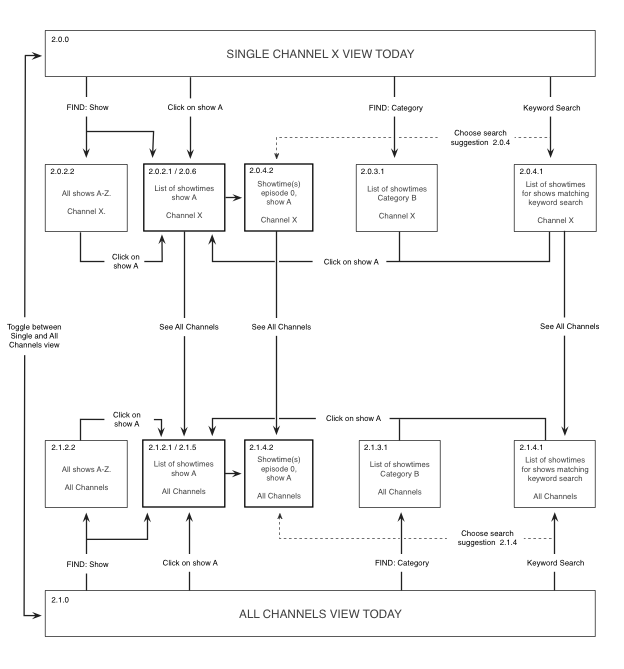 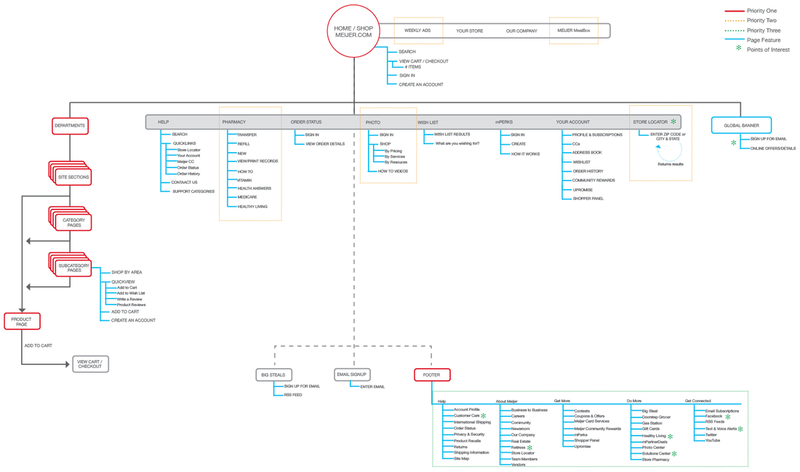 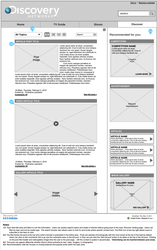 Myself and one other constructed the primary 150-page IA and UX design document. 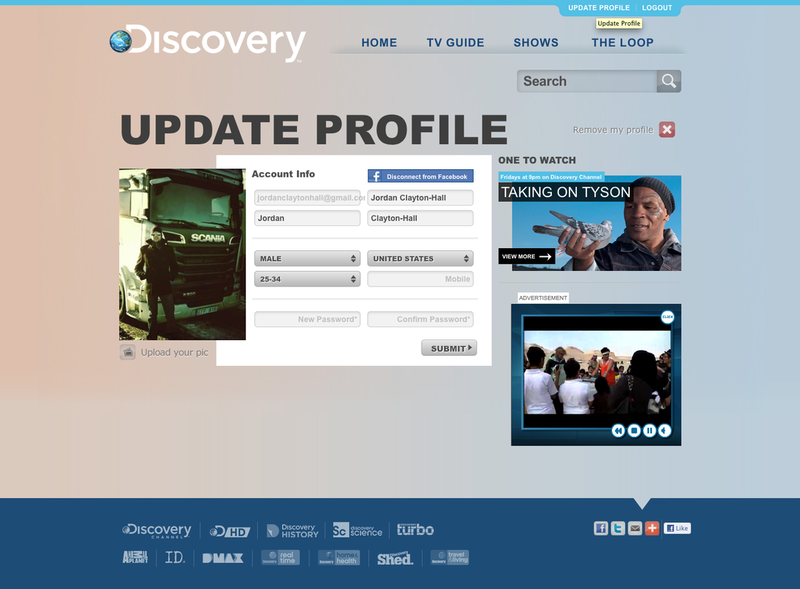 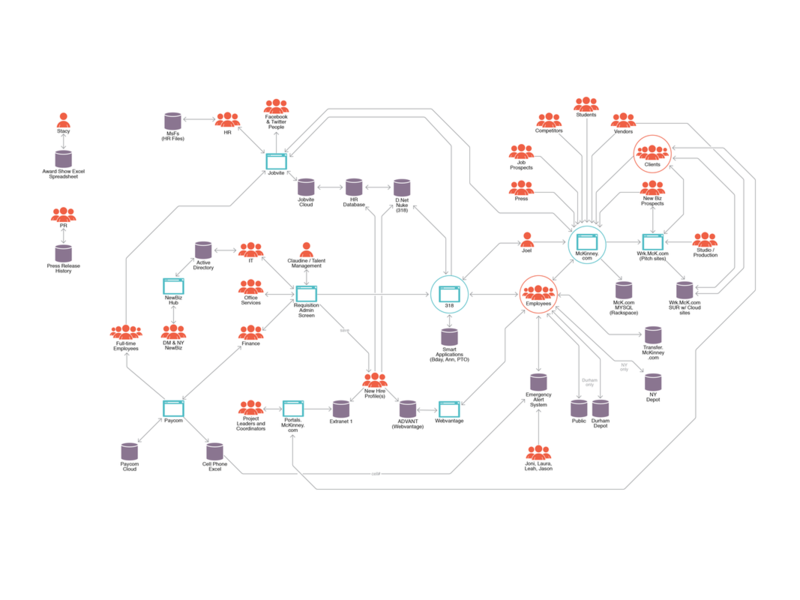 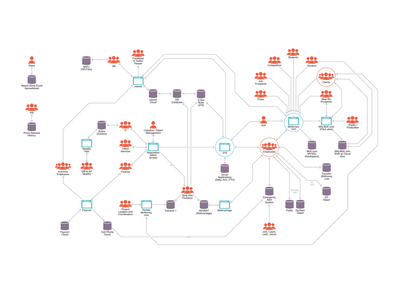 RESULTS: Smooth collaboration and implementation with the Discovery UK development team. 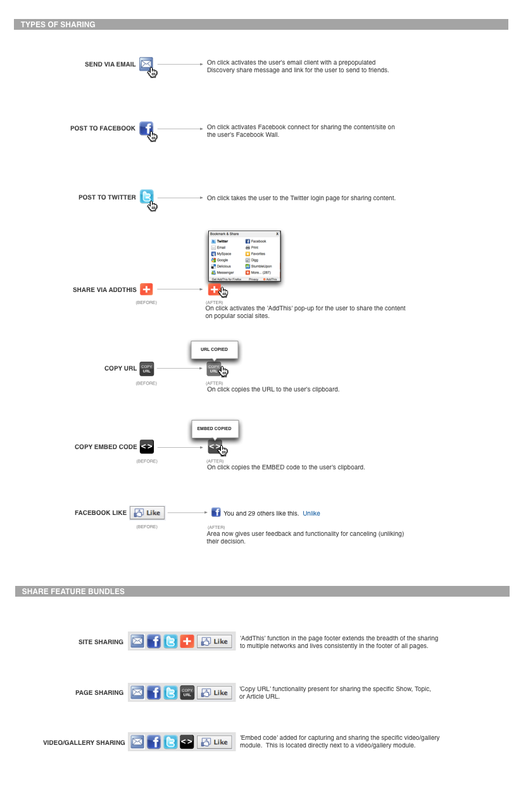 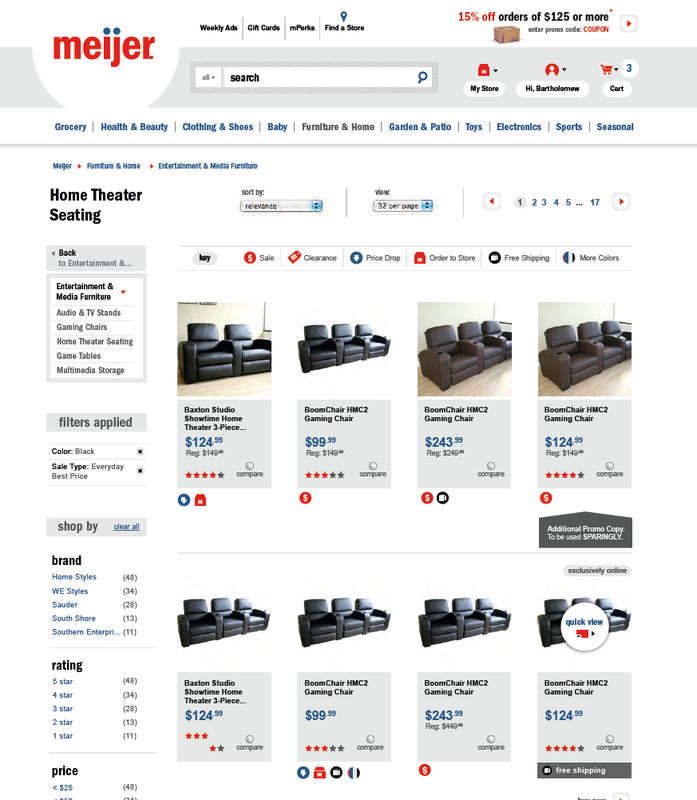 Major increases in usability and affinity with the site post-launch. 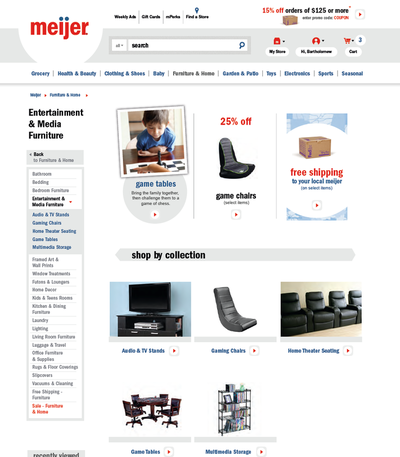 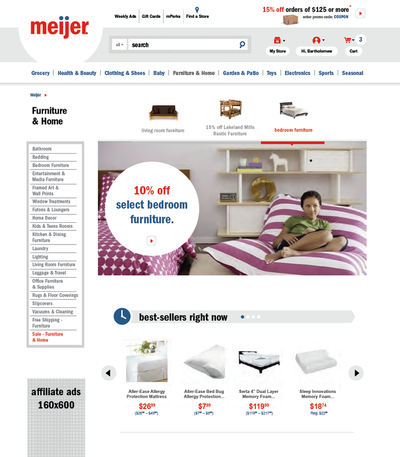 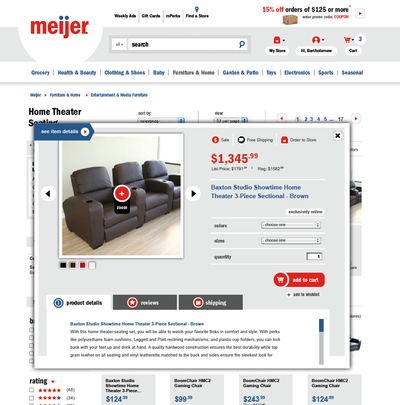 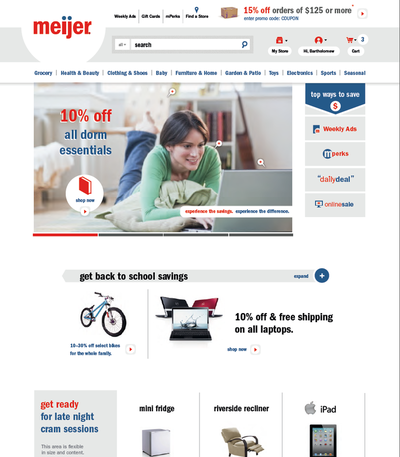 ​OVERVIEW: Meijer came to us in need of updating the primary structure, navigation, flow, functionality and content hierarchy of their eCom site Meijer.com. There hadn't been a major overhaul to the site design in over 7 years and was in need of the updating to contemporary standards and better consideration of mobile usage. Meijer had millions of monthly revenue sitting on the line and had seen their web traffic begin to plateau. 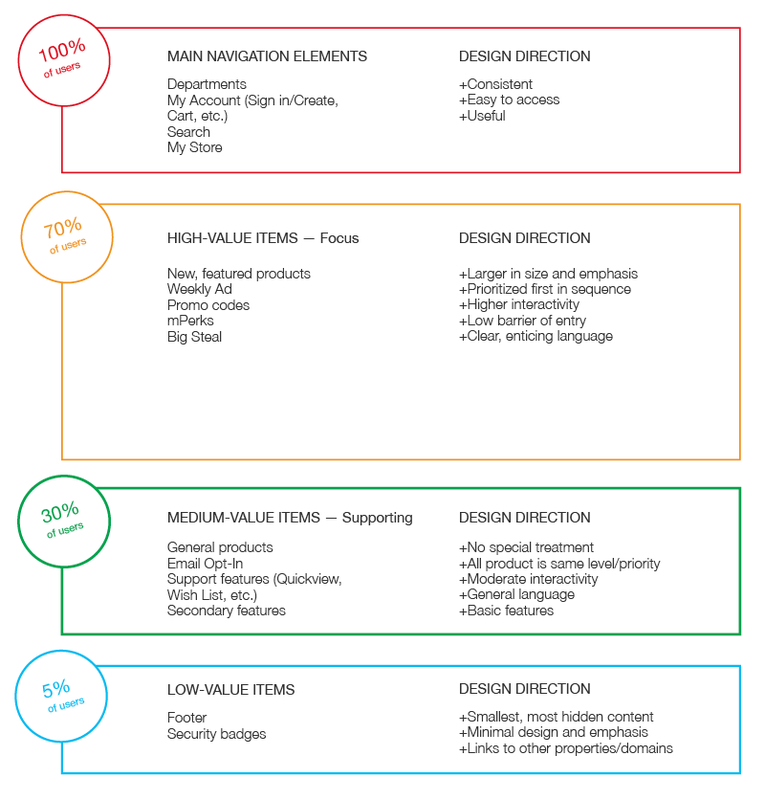 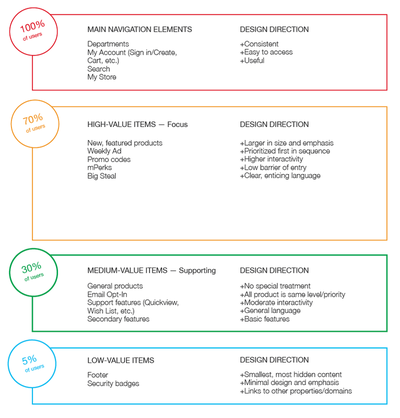 As a true Experience Design effort, we didn't look into just the site redesign, but also the major elements and touchpoints that related to the eCom experience itself. 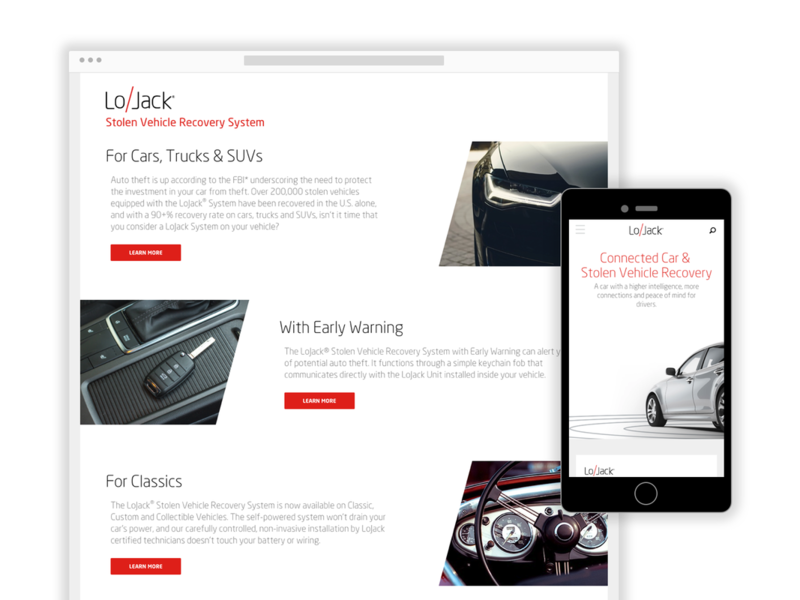 We developed a close working relationship with the client with weekly meetings and review sessions which greatly helped contribute to the end-product. 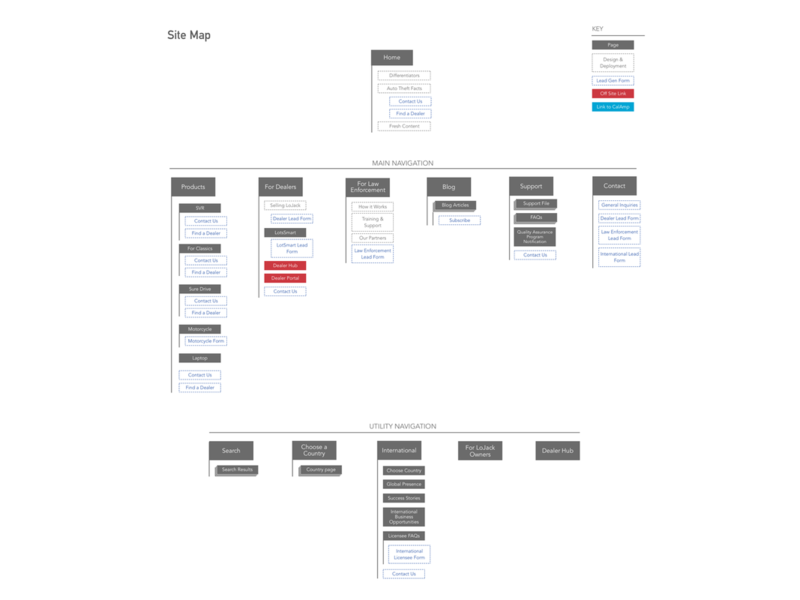 ROLE: Director of Experience Design. 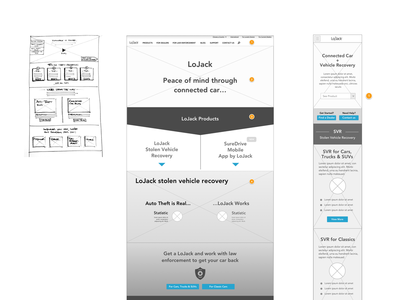 Co-managed with our Production Head a team of 7 other UX, creative and production professionals. 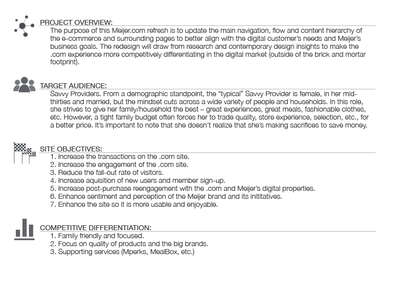 Oversaw all research, ideation, design, and production implementation. 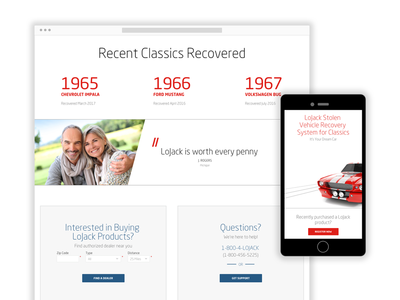 RESULTS: Successful redesign of the site and smooth implementation of design efforts. 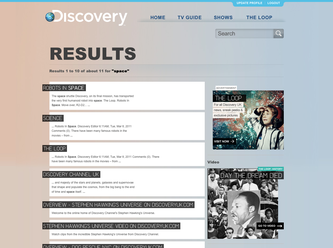 A major increase in traffic, usage and revenue occurred shortly after.